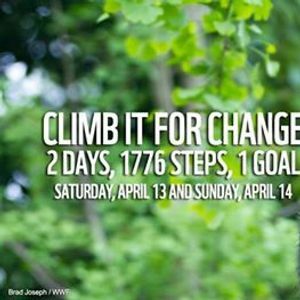 WWF-Canada’s CN Tower Climb for Nature is a fun, family-friendly event that benefits wildlife in Canada. Climb solo or with a group of neighbours, family, friends or colleagues. There is a minimum fundraising requirement of $120 per person to climb the CN Tower. A NOTE ON FACEBOOK FUNDRAISING: Unfortunately, Facebook’s fundraising platform does not connect to our WWF-Canada fundraising system, so we are not able to link these donations to your fundraising efforts. If you have been using the Facebook platform to fundraise for your climb please contact us at ZXZlbnRzIHwgd3dmY2FuYWRhICEgb3Jn. Saturday Climb - April 13, 2019, 6:00 a.m. to 9:30 a.m.
All climbers must be checked in before 9:30 a.m. in order to climb. Sunday Climb - April 14, 2019, 7:00 a.m. to 9:30 a.m.
ELITE CLIMB - April 14, 2019. See you at the #CNTowerClimb!